View of the central area of the city. Wooden structures once stood on the stone platforms. Ciudad Perdida (Spanish for "Lost City") is the archaeological site of an ancient city in Colombia's Sierra Nevada de Santa Marta. 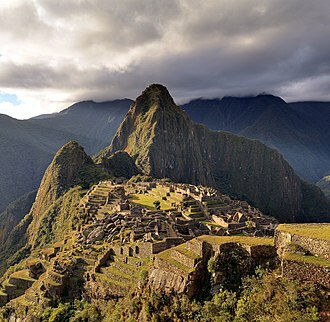 It is believed to have been founded about 800 CE, some 650 years earlier than Machu Picchu. This location is also known as "Teyuna" and "Buritaca". Ciudad Perdida was discovered in 1972, when a group of local treasure looters found a series of stone steps rising up the mountainside and followed them to an abandoned city which they named "Green Hell" or "Wide Set". When gold figurines and ceramic urns from this city began to appear in the local black market, archaeologists headed by the director of the Instituto Colombiano de Antropología reached the site in 1976 and completed reconstruction between 1976-1982. Members of local tribes—the Arhuaco, the Koguis and the Wiwas—have stated that they visited the site regularly before it was widely discovered, but had kept quiet about it. They call the city Teyuna and believe it was the heart of a network of villages inhabited by their forebears, the Tairona. Ciudad Perdida was probably the region's political and manufacturing center on the Buritaca River and may have housed 2,000 to 8,000 people. It was apparently abandoned during the Spanish conquest. The area is now completely safe but was at one time affected by the Colombian armed conflict between the Colombian National Army, right-wing paramilitary groups and left-wing guerrilla groups like National Liberation Army (ELN) and Revolutionary Armed Forces of Colombia (FARC). On September 15, 2003, ELN kidnapped eight foreign tourists visiting Ciudad Perdida, demanding a government investigation into human rights abuses in exchange for their hostages. ELN released the last of the hostages three months later. The United Self-Defense Forces of Colombia (AUC), the paramilitary right-wing groups in that country, continued attacking aborigines and non-aborigines in the zone for a while. For some time the zone has been free of incidents. In 2005, tourist hikes became operational again and there have been no problems since then. The Colombian army actively patrols the area, which is now deemed to be very safe for visitors and there have not been any more kidnappings. For a six-day return hike to the lost city, the cost is approximately US$300. The hike is about 42 km of walking in total, and requires a good level of fitness. The hike includes a number of river crossings and steep climbs and descents. It is a moderately difficult hike. Since 2009, non-profit organization Global Heritage Fund (GHF) has been working in Ciudad Perdida to preserve and protect the historic site against climate, vegetation, neglect, looting, and unsustainable tourism. 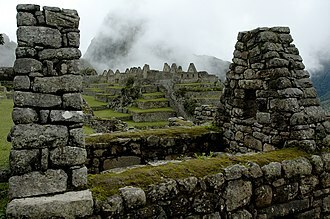 GHF's stated goals include the development and implementation of a regional Management Plan, documentation and conservation of the archaeological features at Ciudad Perdida and the engagement of the local indigenous communities as major stakeholders in the preservation and sustainable development of the site. A boulder with carved markings, believed to be a map of the stars. 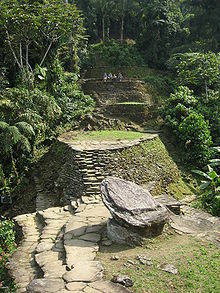 An overview of Ciudad Perdida. This is a section of the stone staircase that leads up from the river valley to Ciudad Perdida. A portrait of a Koguis Tribesman on one of the terraces at Ciudad Perdida. A portrait of a Koguis Tribeswoman and child on one of the terraces at Ciudad Perdida. A portrait of a Koguis shaman at Ciudad Perdida, Colombia. ^ "Ciudad Perdida Kidnappings". La Ciudad Perdida. Soto-Holguin Alvaro "The Lost City of the Tayronas" Im editors, Bogota, 1976. 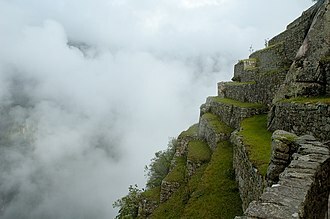 Wikimedia Commons has media related to Ciudad Perdida. 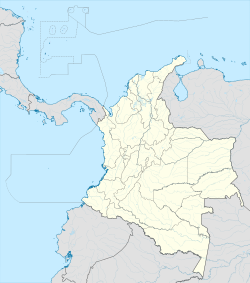 Magdalena is a department of Colombia, located to the north of the country by the Caribbean Sea. The capital of the Magdalena Department is Santa Marta and was named after the Magdalena River and it inherited the name of one of the original nine states of the United States of Colombia that its current territory integrated. The Department of Magdalena is located on the North Coast of the Colombian Caribbean Region, on the north it borders the Caribbean Sea. On the northeast it borders the La Guajira Department, being divided by the Palomino River, on the east it borders with the Cesar Department, which is in part divided by the Guaraní River. On the west, it is divided by the Magdalena River, and it borders the departments of Atlantico in the Northwest, the territory of the Department of Magdalena is formed by four drainage basins which are very different in composition and importance. Sierra Nevada’s Northern Slope The drainage basin of the Sierra Nevada’s western slope is located in the part of the department. The Sierra Nevada de Santa Marta creates different rivers that run mainly through the municipality of Santa Marta, and that finally end up draining into the Caribbean Sea. Magdalena Basin The Magdalena River Basin is the largest drainage basin in the department, it is formed by the Magdalena River and its tributaries that feed on to the river and the Marsh. The Mompóx Depression is found within this basin, this runs from the Zapatosa Marsh to the delta of the Magdalena River. This depression collects the most water in the department as its where the Cauca River, Cesar River, marshes The department of Magdalena is characterized by its many marshes and extensive marshland valleys. The whole western side of the department its dotted with marshes and lakes due to the Magdalena River that borders the department on this side, most of this marshes are located in the northwestern side. The permanent marshes are, Chilloa, La Rinconada, Pijiño, Juan Criollo, Playa Afuera, Ciénaga Grande de Santa Marta, and Zapatosa. The Sierra Nevada de Santa Marta is an isolated mountain range separated from the Andes chain that runs through Colombia. The Sierra Nevada encompasses about 17,000 km2 and serves as the source of 36 rivers, the range is in the Departments of Magdalena, Cesar and La Guajira. SRTM data and local topographic maps show that their true elevations are approximately 5,700 m, the Sierra Nevada is a compact group, relatively small in area, and completely surrounded by lands with elevations below 200 m. Although it is associated with the Tropical Andes, the backbone of the Andes cannot be reached from the Sierra Nevada without dropping below this level. This makes its highest point the worlds fifth most prominent summit, several peaks in the Sierra Nevada are intervisible with Cerro Paramillo, a 3,730 m peak in Antioquia Department. 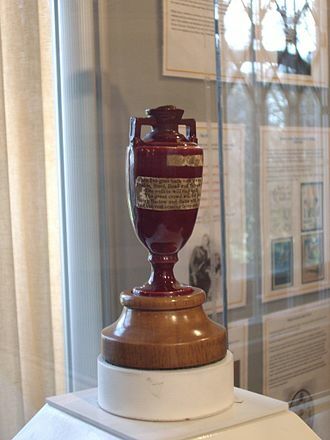 This implies a direct line of sight of just over 500 km. It is calculated that the average rainfall is 4,000 mm at elevations of 500 m to 1,500 m. The temperature varies between 0 °C and 27 °C, the tropical rainforest is made up of perennial trees, with a canopy reaching between 30 m to 40 m.
There is a variety and large populations of epiphytes and lianas. The indigenous peoples made an alcoholic beverage from fruits of the palm Attalea maripa found at the lower elevations, of Colombias 340 endemic species,44 are found in the park, for example seven species of endemic hummingbirds. Of the 3,057 endangered species,44 are found here, the area is home to 440 species of birds, including black-fronted wood-quail, king vulture, Andean condor, Santa Marta warbler and Santa Marta parakeet. Mammals found in the include, cougar, squirrel, Transandinomys talamancae, otter. The Sierra Nevada de Santa Marta is home to a number of ecoregions, the Guajira-Barranquilla xeric scrub region lies near the Caribbean seacoast to the north of the range. The Sinú Valley dry forests cover the lower slopes, up to an elevation of 500 m. The Santa Marta montane forests lie above 500 m to 800 m, the montane forests are separated from other moist forests by the lower-elevation dry forests and xeric shrublands, and have large numbers of endemic species. The National Liberation Army is an armed group involved in the continuing Colombian armed conflict, which has existed in Colombia since 1964. The ELN advocate a composite communist ideology of Marxism and liberation theology and they conduct military operations throughout the national territory of Colombia, in 2013, it was estimated that the ELN forces consisted of between 1,380 and 3,000 guerrillas. According to former ELN national directorate member Felipe Torres, one fifth of ELN supporters have taken up arms, the ELN has been classified as a terrorist organization by the governments of Colombia, United States and the European Union. Most notable was the Priest Camilo Torres Restrepo, a university professor who was openly critical of the grossly unequal distribution of income among the social classes of Colombia. From the late 1970s, The Priest Pérez presided over the National Liberation Army as one of its most recognized figures, President López Michelsen helped the ELN in the hope of initiating peace negotiations with them in order to end the civil war. 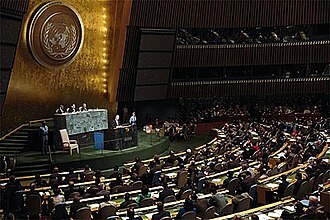 The U. S. State Department has listed the ELN as a Foreign Terrorist Organization, ostensibly because of its reputation for ransom kidnappings, in April 2004, the European Union added the ELN to its list of terrorist organizations for those actions and its breaches of humanitarian law. There were occasional joint actions by the FARC-EP and the ELN, in mid-2006, mutual rivalries between local FARC and ELN forces escalated into hostilities in Arauca, along the border with Venezuela. According to the BBC, the FARC have for some years moved to take over ELN territory near the Venezuelan border, a statement posted on FARCs homepage accused the ELN of attacks that we only expected from the enemy. 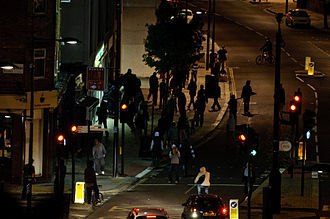 The ELNs main source of income are businesses and middle class civilians in its areas of operation, to enforce these taxes, they frequently take civilians captive to use as leverage. While the ELN uses the war taxes and retentions for these actions, critics insist they constitute extortion. According to Claudia Calle, spokesperson for País Libre, a Colombian foundation for victims of abductions, according to País Libre, ELN abducted over 3,000 people between 2000 and 2007 and currently still holds 240 people captive. The Tairona people formed one of the two principal linguistic groups of the Chibcha family, the other being the Muisca. Genetic and archaeological evidence shows a relatively dense occupation of the region by at least 200 BCE, pollen data compiled by Luisa Fernanda Herrera in the 1980 shows considerable deforestation and the use of cultigens such as yuca and maiz since possibly 1200 BCE. However, occupation of the Colombian Caribbean coast by sedentary or semi-sedentary populations have been documented to have occurred by c.4000 BCE and this movement allowed them to evade the worst of the Spanish colonial system during the 17th and 18th centuries. The indigenous Kogi, Wiwa and Kankuamo people who live in the area today are believed to be descendants of the Tairona. Initially it was used to refer to the inhabitants of a valley, but by the 16th century, the Spanish used it for the whole group of complex chiefdoms in the area. The groups in the northern and western Sierra Nevada were largely indistinguishable to the Spaniards, the archaeological sequence of the region spans from approximately 200 BCE to the 17th century CE when the Tairona were forcibly integrated into the Spanish Encomienda system. Knowledge sources about the pre-Columbian Tairona civilization are limited to archaeological findings, one of the first descriptions of the region was written by Pedro Martyr d Anghiera and was published in 1530. The area was described by explorers who visited the region between 1505 and 1524. Anghiera portrays the Tairona valleys as densely populated, with extensive fields irrigated in the way as those in Tuscany. Many villages were dedicated to fishing and traded their goods for the rest of their needs with those living inland. Anghiera describes how they aggressively repelled the Spanish when they attempted to take women and children as slaves in the first contacts, one of the best-known Tairona nucleated villages and archaeological sites is known as Ciudad Perdida. It was a city, about 13 hectares in the core. It was discovered by looters in 1975 but is now under the care of the Colombian Institute of Anthropology, there are many other sites of similar or greater size. A larger site, Pueblito is located near the coast, according to Reichel-Dolmatoffs research, it contains at least 254 terraces and had a population of about 3,000 people. The Revolutionary Armed Forces of Colombia—Peoples Army was a guerrilla movement involved in the continuing Colombian armed conflict since 1964. It was known to employ a variety of tactics in addition to more unconventional methods. The FARC-EP, which formed during the Cold War period as a Marxist–Leninist peasant force, in 2013 it was reported that 26,648 FARC and ELN members had decided to demobilize since 2002. However, the FARC and the ELN lost control of much of the territory, especially in areas, forcing them to relocate to remote areas in the jungle. In 1964, the FARC–EP was established as the wing of the Colombian Communist Party. The FARC were a violent non-state actor whose recognition as legitimate belligerent forces is disputed by some organizations. In 2008, Venezuelan President Hugo Chávez recognized the FARC–EP as a proper army, in February 2008, millions of Colombians demonstrated against the FARC. In 2012, the FARC made 239 attacks on the energy infrastructure, the FARC have shown signs of fatigue. As of 2014, the FARC are not seeking to engage in combat with the army. Meanwhile, from 2008 to 2017, the FARC opted to attack police patrols with home-made mortars, sniper rifles and this followed the trend of the 1990s during the strengthening of Colombian government forces. In June 2016, the FARC signed an accord with the President of Colombia. 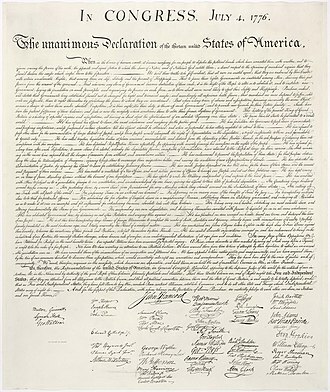 This accord was seen as a step to ending the war that has gone on for fifty years. The referendum failed with 50. 24% voting against, the Colombian government and the FARC on November 24 signed a revised peace deal, which the Colombian Congress approved on November 30. On February 18,2017, FARC rebels moved into transition zones, in Colombian history and culture, the killings are known as La Violencia, most of the people killed were peasants and laborers in rural Colombia. In 1957–1958, the leadership of the Liberal Party and the Conservative Party agreed to establish a bipartisan political system known as the National Front. 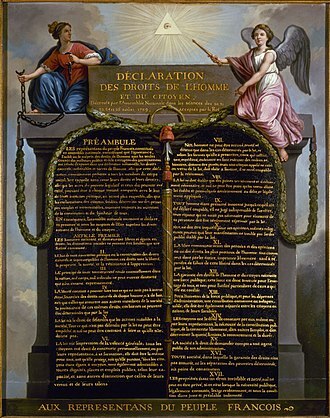 The pact was ratified as an amendment by a national plebiscite on 1 December 1957 and was supported by the Roman Catholic Church as well as Colombias business leaders. The National Army of Colombia is the land military force of Colombia and the largest branch of the Colombian Armed Forces. It is responsible for carrying out land-based military operations along with the Colombian Naval Infantry, after their triumph against the Spanish, the Congress of Angostura created the Greater Colombian Army, to replace the disbanded Commoners Army. On July 20 of 1810, Colombia declared its independence from the Spanish Empire, the junta declared themselves sovereign from each other as result of the lack of communications between many provinces and cities due to Colombias complicated mountain terrain. 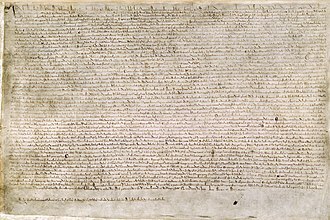 This prevented a full establishment of an army, and it would take 9 years before a truly national army would be formed. 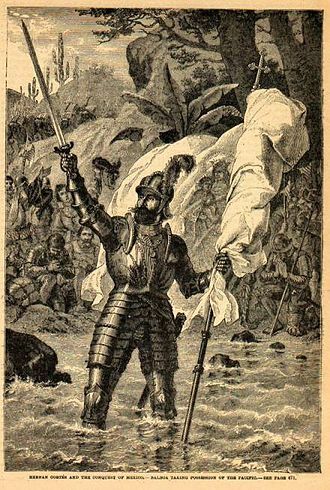 This gave a rise to a period of instability and Spanish were able to take advantage of this with Spanish crown sending General Pablo Morillo. 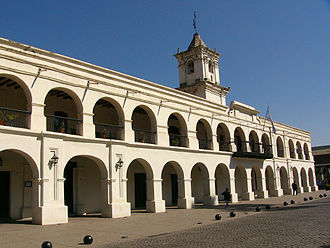 The Greater Colombian Army was consolidated on August 7,1819, since the Colombian Army has been the biggest organization in Colombia. 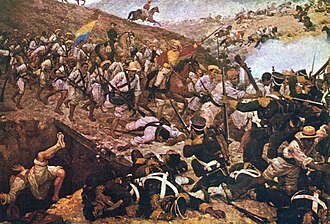 There upon the Gran Colombian Army was formed, in 1828 a war broke out with Peru and the Gran Colombian Army was called upon to defend the nations sovereignty. The war lasted into 1829 with a Peruvian naval victory, the war ended in a stalemate. After the dissolution in 1830 of Gran Colombia and the death of Bolivar and its officers were not well trained or technically skilled. The government addressed this by founding and organizing military schools and colleges, in 1839 General Tomas Cipriano de Mosquera hired Italian Colonel Agustin Códazzi as an inspector of the army. As a consequence of civil wars over partisan affairs, the chiefs. 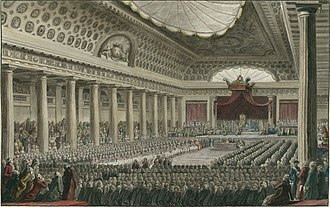 The need to professionalize and retrain the army prompted the creation of a military school, in order to reorganize the army, the government hired a French military mission. 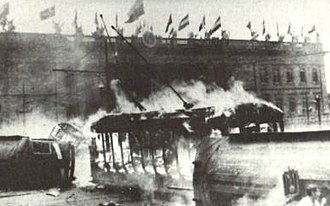 Its mission was fruitful and the organization along French lines based on divisions and this civil war lasted until 1903. With the ending of the Thousand Days War, General Rafael Reyes Prieto was elected President of Colombia with many plans to reorganize and professionalize the army. Magdalena Department seen from space. Overflow of the Magdalena River caused floodings in 2005. A portrait of a Koguis Tribeswoman and child on one of the terraces at Ciudad Perdida, Colombia. A portrait of a Koguis Tribesman on one of the terraces at Ciudad Perdida, Colombia. ELN guerrilla: Father Camilo Torres among the peasants of Colombia. "Neither Surrender, Nor Deliverance" reads the poster of the Ejército de Liberación Nacional at the National University of Colombia. Image: Marcha 20 de julio "¿Y los secuestrados del ELN qué?" Plaza Mayor, Valladolid is a typical Spanish plaza. Plaza de Bolívar is the largest plaza in Bogota, Colombia, and home to one of the largest cathedrals in South America, the Cathedral of Bogota. The Arhuaca mochila is a popular artisan bag in Colombia. The HRT, part of FBI CIRG’s Tactical Section, includes units that specialize in crisis negotiation, surveillance, and aviation support. 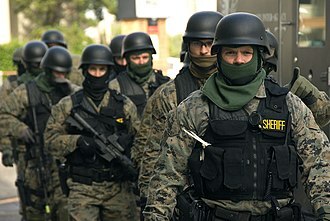 HRT operators often call upon crisis negotiators, behavioral analysts, and other experts.